The premiere date and season one guest list for Norm Macdonald's ( Mike Tyson Mysteries , The Norm Show , Saturday Night Live ) new Lionsgate-produced series, Norm Macdonald Has a Show , has been revealed by Netflix . 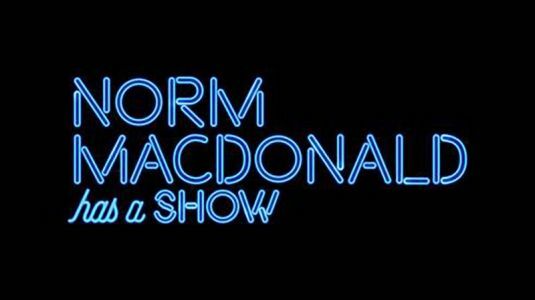 Norm MacDonald has a show... and a guest list. The talk show “Norm MacDonald Has A Show” will feature guests Chevy Chase, Jane Fonda and David Letterman in addition to Drew Barrymore, David Spade, Judge Judy Sheindlin, M. Night Shyamalan, Michael Keaton, Billy Jo Shaver and MacDonald's “Saturday Night Live” boss Lorne Michaels. All 10 episodes of the series will drop on Netflix on Friday, September 14, it was also announced Tuesday.